Keep it clean but have some fun too! 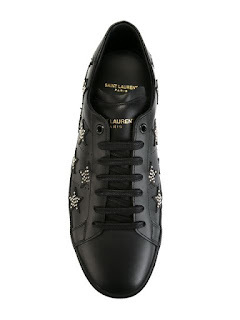 Saint Laurent does just that with this California Sneaker. 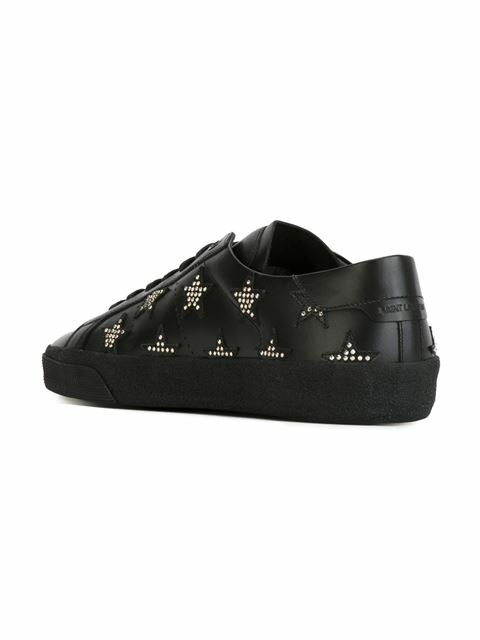 A cool low-top made of buttery soft black leather, flat rubber sole and studded star patches, this sneaker is both understated and bold. 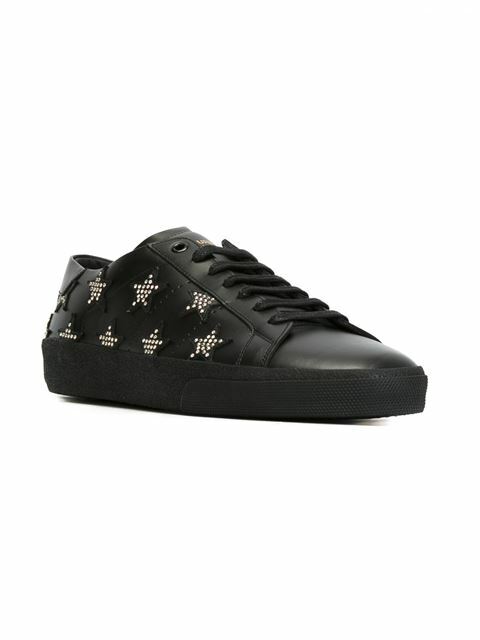 This shoe can work well with the slimmest black suit to the trimmest distressed denim. Available now at Farfetch.com.